Valentina Nisi’s background covers Fine Arts, Multimedia and Interaction Design. Her main area of expertise is Digital Media Art applied to the conception and design of digitally mediated experiences. In particular she focuses on designing and producing experiences that connect people, content and real spaces through the use of digital technologies. Beside teaching and researching Valentina also enjoys writing stories for transmedia platforms, as well as for traditional cinema. Valentina has been researching, publishing and delivering workshops extensively in the areas of Interaction Design, Digital Art and Entertainment technologies. Nuno Jardim Nunes holds a Ph.D in Software Engineering from U. Madeira and a MEng in informatics and computer engineering from the Technical University of Lisbon (IST). Currently Nuno serves as Chairman of the Board for ARDITI (Regional Agency for the Development of Research, Technology and Innovation) and President of the Board of Directors of Madeira-ITI a research and innovation institute of the University of Madeira and a member of the Board of LARSYS National Laboratory. Nuno is the scientific director for areas of HCI and Design of the Carnegie Mellon Portugal international partnership. Nuno’s research interests lie in the application of models to software, system and service design in particular for the domain of sustainability. Bongkeum Susana Jeong is a Designer, Researcher and Educator. Her background is in Design, specializing in graphic design. After receiving a Ph.D in Design Policy from U. Hongik in Seoul, she spent time working at Carnegie Mellon University in Pittsburgh as a Postdoctoral Researcher in Design and HCI. She works primarily in interdisciplinary research, and currently teaches courses in Design Studio, Design Methods, Interaction Design, Multimedia Animation. It emphasizes how movement may be used for effective communication. Beyond research her work experience consists of industrial design projects such as user interfaces for mobile, web and interactive TV as well as public experiences in Urban Design. Her research interests are Design Policy, HCI, UI design, Design Method. Bongkeum feels inspired by novelty and the convergence of topics to investigate different areas and come up with something new. Deborah Castro is a Post-Doctoral Researcher at Madeira Interactive Technologies Institute (M-ITI). She received a Ph.D. in Communication Studies (Autonomous University of Barcelona, UAB), and holds a M.A. in Research in Communication and Journalism (UAB) and a B.A. in Journalism (University of Santiago de Compostela). Her research interests lie in the fields of television studies and digital media, with a special focus on media reception, transmedia storytelling and fandom. Deborah enjoys rainy weather, tasting new types of tea, swing dancing and writing. Cláudia Silva is a journalist and a Postodoctoral fellow at M-ITI. She holds a PhD in Digital Media from the University of Texas at Austin-Portugal international doctoral program. Cláudia has a BA in Social Communication (Journalism) at the Catholic University of Minas Gerais, in Brazil, and received a MA in Journalism from the New University of Lisbon, in Portugal. In Brazil, she worked as a local/regional journalist in print journalism. In Portugal, she has worked as an Arts Journalist for the most prestigious Portuguese newspaper Público and has also published in the leading national Brazilian newspaper Folha de São Paulo. Cláudia enjoys connecting with local communities and writing short stories inspired by daily situations she encounters in the different parts of the world, where she has lived. Her research interests are on digital media, storytelling, locative media, mobile media, social media, new technologies and innovation in journalism. Marko Radeta is the CEO and co-founder at TIGERWHALE (Krakow, POL), an EU grant awarded SME focusing on mobile, wearable and web technologies. He holds a PhD in Interaction Design (Politecnico di Milano, ITA), MSc double-degree in Communication Design (Politecnico di Torino and Alta Scuola Politecnica, ITA) and BSc in Computer Engineering (Belgrade, SRB). He has participated on more than 5 EU research projects and is a Cross-Cultural Ambassador at UNESCO Club (Sorbonne, FRA). 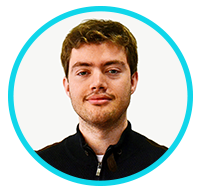 His previous work experience includes designing and developing UX/UI for YAHOO! and WHIRLPOOL. His current research focus is at the intersection of Human-Computer Interaction, Information Visualization, Affective Computing and their long-term impact on people to ease their daily life routine. Mara Dionísio is currently working as a research assistant at the Madeira Interactive Technologies Institute. She studied Informatics Engineering and during her master thesis about Location Aware Storytelling she discovered a passion in designing experiences that can make the users feel completely immersed. Then she decided to enroll in a Masters of Entertainment Technology a joint program between Carnegie Mellon University and the University of Madeira. Since then her interests in location and themed-based entertainment are becoming stronger, and hopes that in the future she will be able to design and build interactive installations that are engaging and immersive. Miguel Ribeiro is the youngest element of the team. His tech savviness brought him to work as a research assistant at the Madeira Interactive Technologies Institute. His passion for technology started back in high-school and his background includes a bachelor in Computer Science and a project regarding smart energy metering and different location techniques. Currently he is also studying in the Computer Engineering Masters’ at University of Madeira. In his spare time, he is a car and movie enthusiast. Paulo Bala was born in Madeira (a small island whose claim to fame has been Cristiano Ronaldo and wine), Portugal. He is currently working as a Research Assistant at M-ITI. Before this, he was part of the Masters of Entertainment Technology at Carnegie Mellon University / University of Madeira. Halfway through Med school, Paulo decided to follow his passion for technology and studied in University of Madeira, where he got a Masters in Computer Science. He’s a self proclaimed film and TV buff who enjoys unusual food and doing 2D art. Rui Trindade is a young and spirited artist, currently working as a research assistant at M-ITI. His background includes a bachelor in Interactive Media Design, which he studied at the University of Madeira, and it was there he found his passion for 3D design and the development of entertaining experiences. Following this, he enrolled in the Masters of Entertainment Technology, which allowed him to study in Pittsburgh, and further develop his work in the entertainment field. Rui is a creative mind who strives for innovation, always trying to do something new and exciting. In his spare time, he plays guitar. He also enjoys exploring nature by doing Madeira’s famous levada walks, as well as Geocaching. Sandra Olim was born in Madeira but grew up in Venezuela and then moved to the United States and Canada, which is probably the reason for her passion and interest in different cultures. Her academic background is in Design and Education. She used to be an art teacher that afterwards went into developing educative games for kindergarten students. Ana Bettencourt’s background involves a bachelor in Graphic Design at the José María Vargas University in Caracas, and recently she has finished the bridging-program in Human-Aspects of Technology (PAHT) at M-ITI, where she’s currently working as an intern researcher. Her parents are from Madeira, so she’s a portuguese-venezuelan with an active and creative mind who is always learning, listening and aiming for new ways of visual communication. Among her interests which are aimed into expanding her artistic skills towards a professional level, such as learning music and developing her photography accordingly to people’s daily life, as well as keeping a healty lifestyle doing sports activities and spending time with her family and friends. Dina Dionísio recently graduated in Languages and Business. Very passionate about learning, she’s always seeking for opportunities to work on personal and professional growth, making her want to join the research team at M-ITI, where she is currently working as a research assistant. Her best interests range from business and tourism management, technology and entertainment to fitness, nature, travel, family, friends and pets. Duarte Teixeira graduated in Computer Science at University of Madeira following his passion for technology (and computers especially), from an early age. As a big enthusiast of computer games and movies, he saw an opportunity to learn and develop his expertise in the field of entertainment by attending the Masters of Entertainment and Technology at Carnegie Mellon University / University of Madeira. Now he hopes to apply all of his learned skills in building awesome games and engaging stories. Carlota Sousa was born in Madeira, lived some years in Lisbon and a few months in Poland. She’s an active girl, recently graduated in Management at ISEG-Instituto Superior de Economia e Gestão. Carlota is always ready and open to new challanges, in which she puts the greatest commitment and dedication in order to obtain the best possible results. For this reason, she applied to this project and in addition to her cooperation, she hopes to learn a lot from it. At a more personal level, Carlota is always ready for a good laugh and loves to spend great moments with family and friends. 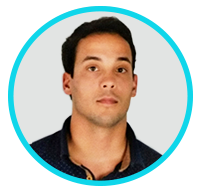 Dinarte Vasconcelos is an highly motivated student and a research assistant in the Madeira Interactive Technologies Institute (M-ITI) . By having the opportunity to be part of a research project and a M-ITI team, Dinarte improved his knowledge during the last year, regarding the real-world application of the theory learnt in his previous education, in terms of signal processing, programming, communication protocols and prototyping, all of which he would like to further improve. Dinarte is a creative and independent person with initiative and ability to handle responsibilities. His background in electronics, telecommunications, and programming makes him a person who is always looking to improve their skills and acquire new knowledge. Eduardo Gomes has just graduated from the Master in Informatics Engineering, University of Madeira, where he worked on game audio, its impact and the prediction of audio emotional responses. Having a huge passion for music and an extensive background in this area, he seeks opportunities to work where technology and music intersect. His other interests are machine learning, music emotion recognition, game development, and music composition/performance.